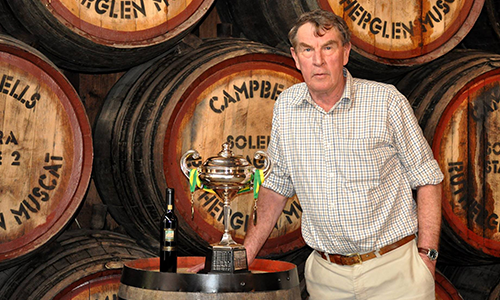 It was an award-filled night at last week’s Rutherglen Wine Show – most excitedly, our Merchant Prince Rare Rutherglen Muscat was awarded the trophy for the Best Fortified Muscat and took the TOP gong for the the Best Fortified Wine! This is an incredibly proud moment for us all at Campbells. Congratulations to Col and our super team!